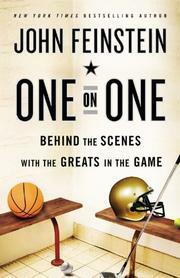 The sports journalist and author of sports-related mysteries chats candidly about his first 10 nonfiction books, beginning with A Season on the Brink (1986), and chases down some of their principal characters for a reunion. The former basketball coach at the University of Indiana, Bob Knight, dominates this book, even as he dominated the first. Feinstein (The Rivalry: Mystery at the Army-Navy Game, 2010, etc.) devotes most of the first 150 pages to Knight, who pops up for return visits throughout, then reappears for a valediction. The author concedes that Knight has some virtues (among them—his former players remain loyal) but believes those virtues are drowned by the torrents of arrogance and entitlement that surge from Knight’s personality. By contrast, Feinstein writes fondly about his experiences covering the ACC, especially the relationships he developed with coaches Mike Krzyzewski, Dean Smith and the late Jim Valvano. He then segues into tennis, writing about such icons as Jimmy Connors (whom no one seemed to like), John McEnroe and—a favorite—Ivan Lendl, who was standoffish until Feinstein encountered some problems with state security in Czechoslovakia. He moves on to baseball and golf, where he writes about interviews with Palmer and Nicklaus, his friendship with David Duval and the massive personal failings of Tiger Woods, who will not find any comfort in these pages. The author bestows his greatest affection on the players he met while writing about the Army-Navy game and on those from the Patriot League basketball teams whose stories he told in The Last Amateurs (2000). At times, Feinstein reveals his own ego issues, often quoting people who praise him. Engaging stories from a storyteller who doesn’t just know his subject—he loves it.